“Chuck. Chuck. 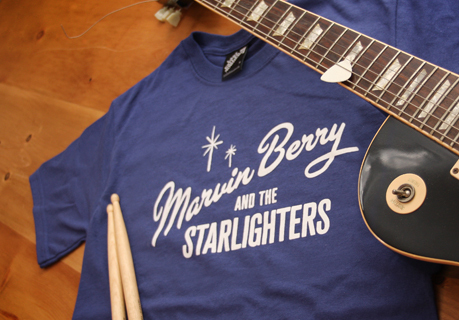 It’s Marvin – your cousin, Marvin BERRY. You know that new sound you’re looking for? Well, listen to this.” Brand new design to the Last Exit to Nowhere range and based on the fictional band in the film Back to the Future. These T-shirts ROCK.